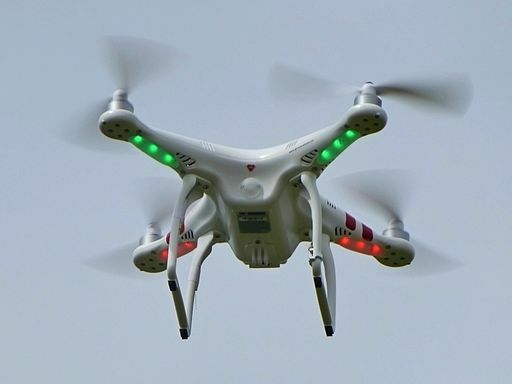 As flying drones gains in popularity, the chances of accident to people and property grow. One such unfortunate incident occurred during Marblehead’s Memorial Day parade. A drone which had been flying overhead crashed into a building, hitting two people before falling to the ground. One of the injured was Scot Yount. He sustained wounds to his neck and head from the drone, which hit him only moments after he had been holding his baby daughter. Billy Kazakis sells drones from Hobby Quarters Hobby Shop in Foxboro. He has been trying to spread the word on the proper operation of these remote-control small aircraft through his Facebook page. The basic rules for flying a drone are to stay below 400 feet, keep at least five miles away from an airport, and always keep your drone within site. Kazakis adds that most of the rules boil down to common sense, including not hovering over people or cruising over crowds. Marblehead police said the drone operator was sorry for what happened, and promised to never fly his aircraft in Marblehead. The police chief said they will not be filing charges. The Federal Aviation Administration has decided to look into the incident. “The FAA has a number of enforcement tools available, including possible civil penalties for careless or reckless operations,” a statement said. Rules for the commercial use of drones are stricter than for hobbyists. Operators of drones as part of a business must be licensed, but not amateurs. Currently the FAA allows unmanned aircraft use on a case-by-case basis since businesses apply for exemptions.